This is my own design, I particularly like the "rolled edge". 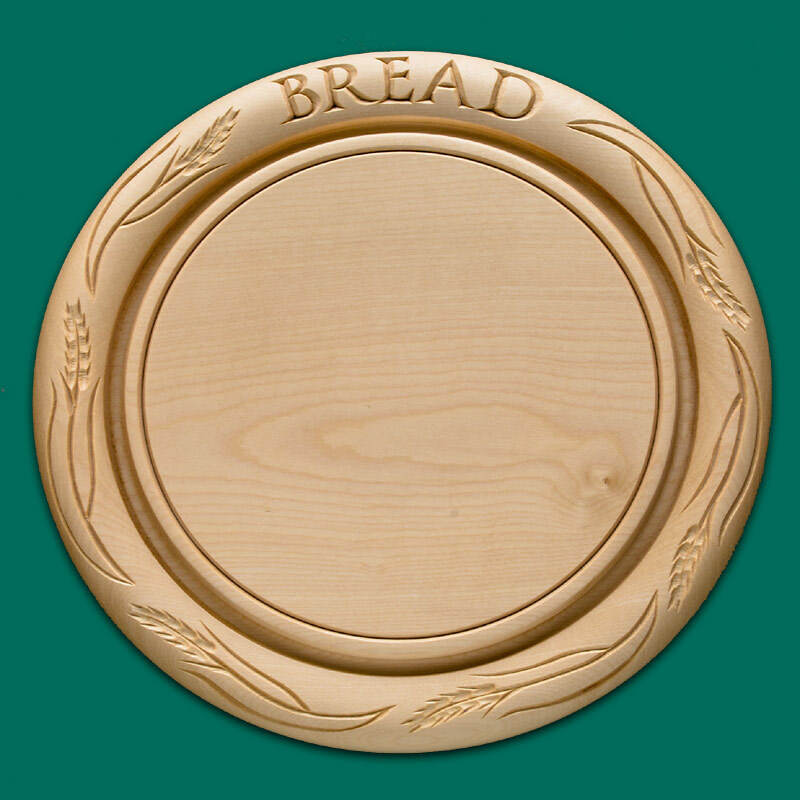 There are 6 wheat ears carved around the outside plus the word "BREAD"
A customer recently asked for the word "BREAD" to be carved on a traditional breadboard. They were so delighted with it I decided to offer them to you. 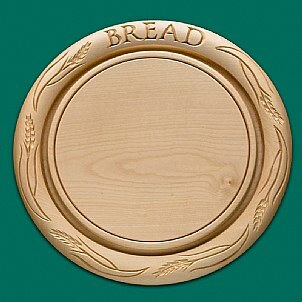 A traditional sycamore breadboard hand carved with the word "bread" and decorated with wheat.I can usually deliver one of these boards in 2 weeks.